We are starting the third week of Blogging Marathon. When I reminded Rasya that she was hosting this month’s Kid’s Delight, she wrote back asking what I thought of the sneaking healthy stuff into kid’s meal. Well tell me that! I am forever trying to do that everyday and every single meal. Not that I won’t mind giving deep fried Samosas or Double dose Cheese busters topped Pizzas. But there is no harm in wanting to make healthy dishes and indulge the kids with unhealthy stuff occasionally How occasional is of course very debatable. To be honest, I never hesitate or thick twice about feeding my kids, those greasy stuffs. First thing, my kids don’t eat sweets. I can easily count the sweets they eat. So I have no problem of that. Well that doesn’t mean they don’t eat chocolates, they eat only that. Most times, Athamma gets threatened at gun shot for regular supply of chocolates. I am talking about other sweets. I also don’t deep fry too much, other than the weekly pooris. Nevertheless, the theme was so attractive, so attractive that I went back to search all my collection with healthy makeovers. I might actually come up with something after this month, I am keeping my fingers crossed. 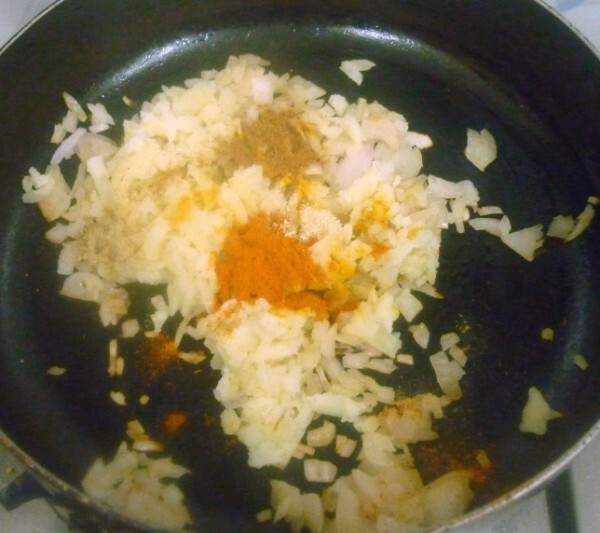 Anyway coming to today’s post, it’s been a long day, with me doing nothing other than the prasadam I made today. I have been busy planning when to make the dish for today’s post. 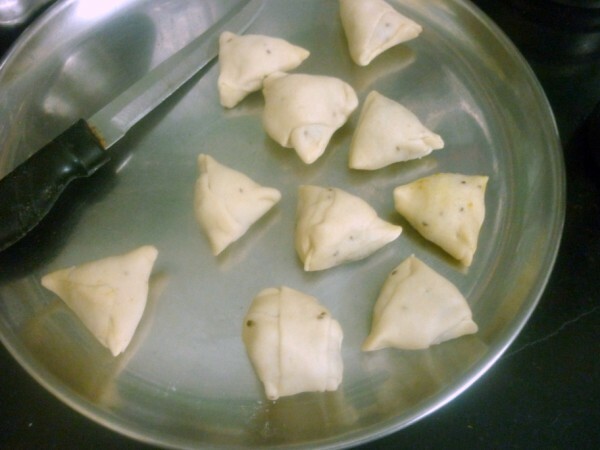 I had been planning to attempt at baking samosas as these are my favorite snacks. Chinnu never eats such food, until recently when he was introduced to those Mini Samosas we get from Nilgris. Ever since eating those, he has been after me to get him more. When he finally saw me making it myself, he was so thrilled. I was shocked, because I have made these so many times, and he never tasted once. Now he goes about saying Mummy is making Samosas! 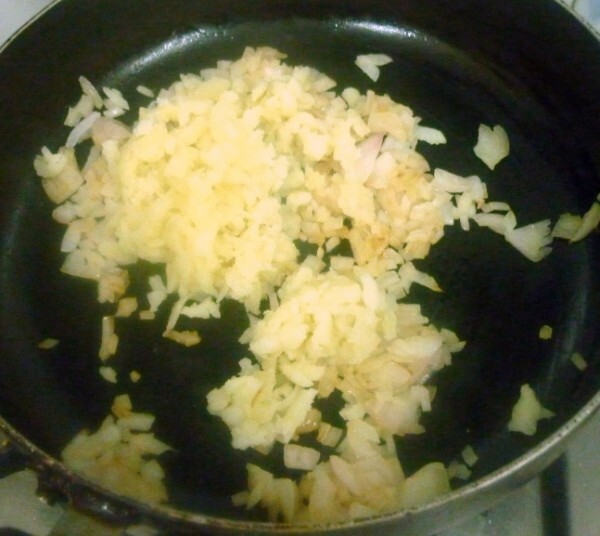 They got so impatient that I had to deep fry one batch for them, before the baked ones got ready. I was so glad that Chinnu now likes Samosas. I promised to make more soon. Now for the theme this week, it’s going to be Healthy Makeover Recipes for Kids, this edition hosted by Rasya. 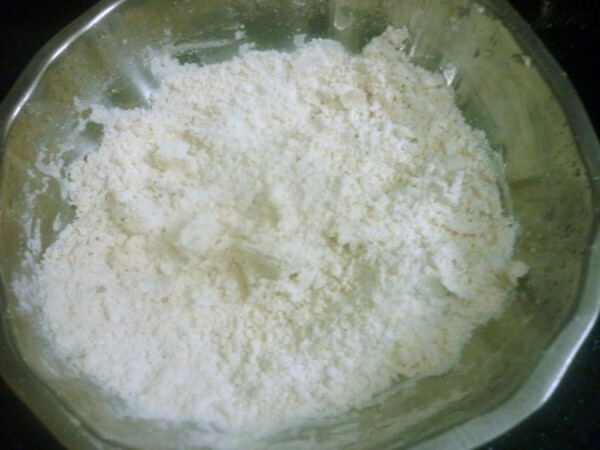 Take the flours along with salt, ajwain, vanaspati in a bowl. Crumble well. 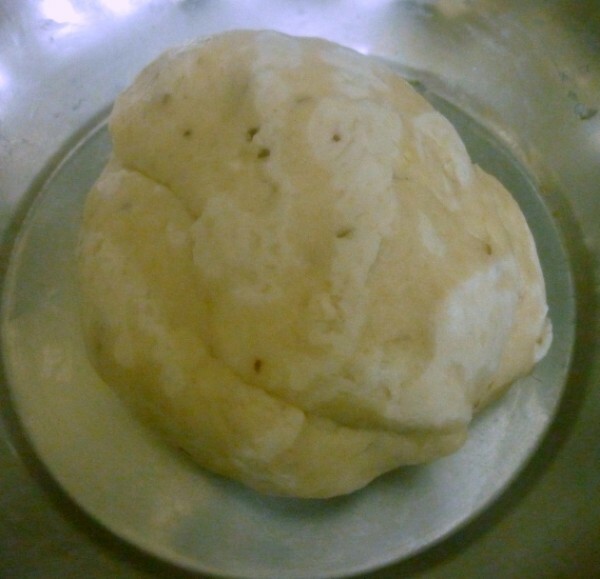 Then slowly add water and knead to a pliable dough. Cover with wet muslin cloth and let it rest for 30 mins. Microwave potatoes for 8 mins, soak and peel. 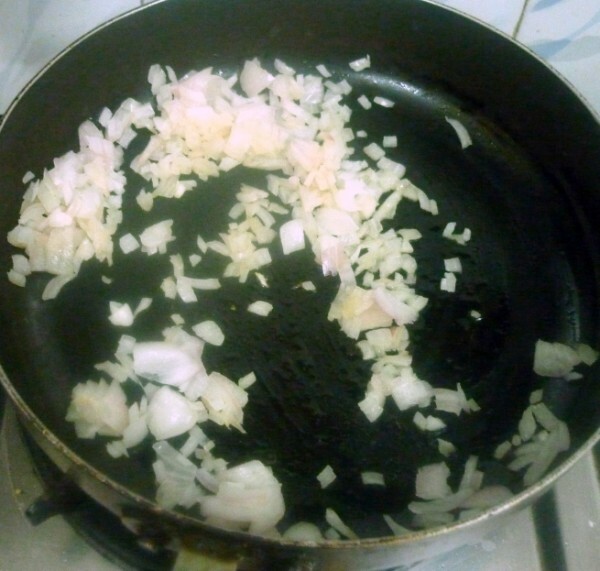 Heat a non stick pan with oil Saute finely chopped onions, add mashed potatoes, all the spice powders and mix well. Keep it aside. Knead the dough again. 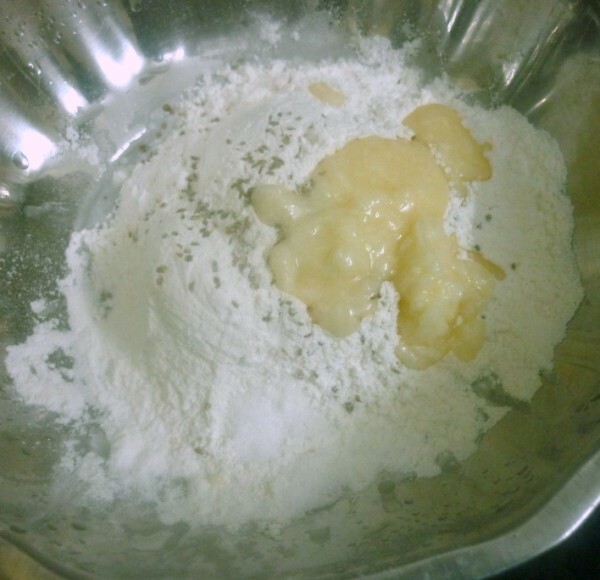 Divide into small balls, dust with flour and roll out to thin 1 inch discs. Trim with knife on all the sides. cut into two inch strips. 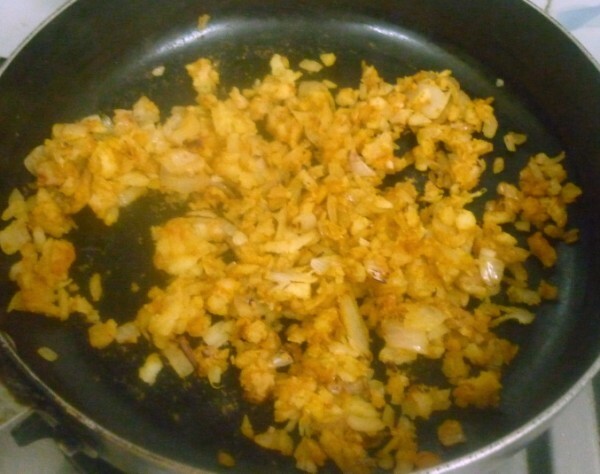 Place a small portion of the stuffing and fold over the stuffing to make a triangle. Continue with all of the balls. Grease on top. Arrange on a greased tray and bake at 185 Deg C for 30 mins. 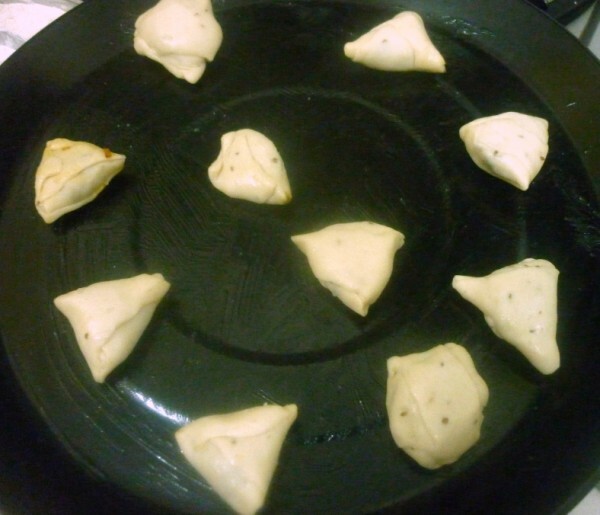 For folding the samosas, please refer how I folded in Potato Peas Mini Samosa. Personally feel if we are dieting we can venture into this baking business, I liked it a lot. It’s hard to convince six year olds about healthy eating. But Konda loves these sorts. And yes, it also depends how many you bake at a time. If you bake more in one shot, it surely helps. Looks like a really healthy version of samosas, how exactly did you fold the samosas ? Also did you prick the outside before baking? Healthy and tasty! Love the flavourful potato filling. 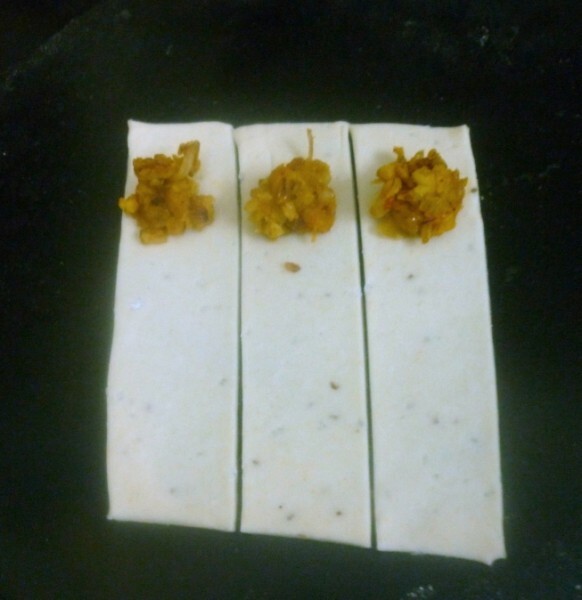 Diya, I have updated the post with the details for folding. Please check. And no I didn't not prick the outside, it worked out just fine. 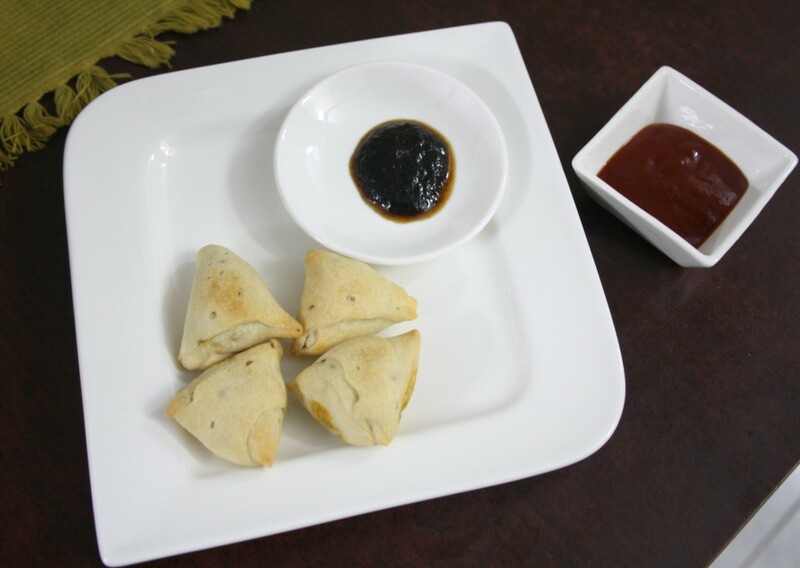 Who can say no to guilt free samosas? 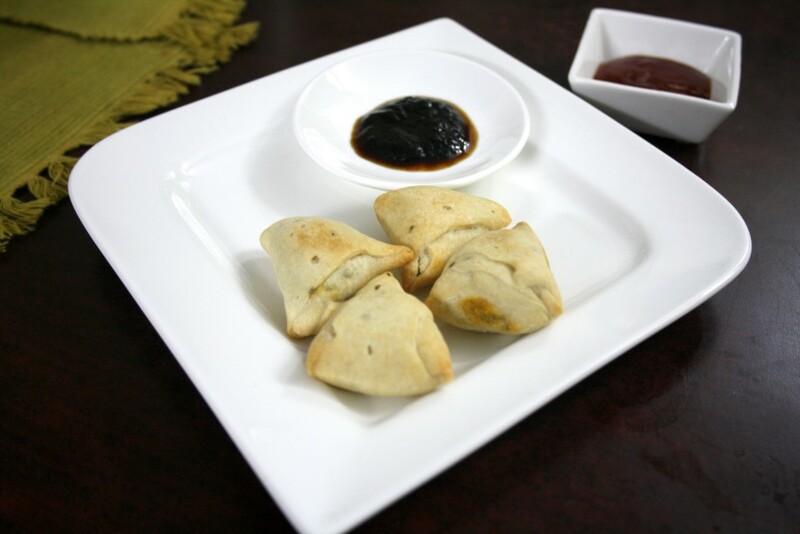 Such a healthy and guilt free baked samosas..Yummy. 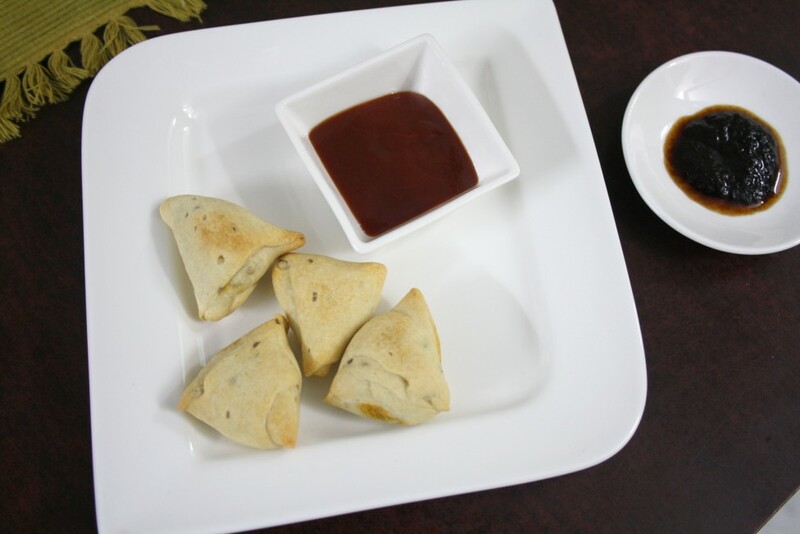 Super healthy baked samosas…looks awesome and the mini samosas look damn cute. Nice one Valli…need to try and make them soon. lovely stuffing..like the onion stuffing..and these mini ones look really cute! Oh that filling sounds really yumm. baked version is always more welcome. I must give it a try this weekend..can eat it with out any thinking abt over calorie n all 🙂 perfect shapes samosa. Thanks for the update, will definitely try this ! Nice and healthy. I just love these samosas. 1st time here. Love your space. Would definitely participate in the monthly events. I always pick up a pack of those mini samosas whenever I go shopping. Hubby loves those! The baked one are alright, but like you said, difficult to make when you have kids with high samosa expectations around!